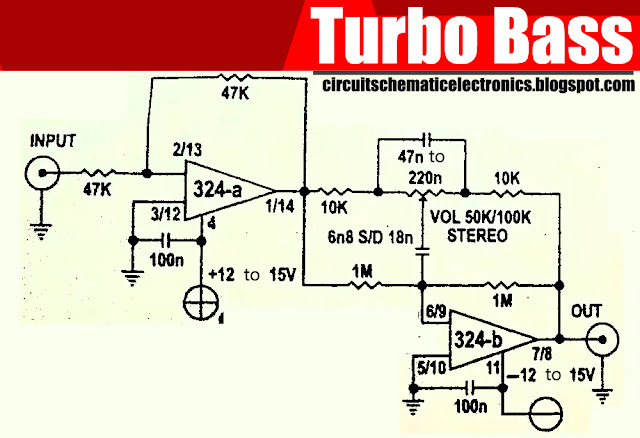 In the previous post, I published Improving performance Bass Amplifier, the bass booster using IC Op-Amp using or based on IC JRC4558, LF353, TL072, TL082. 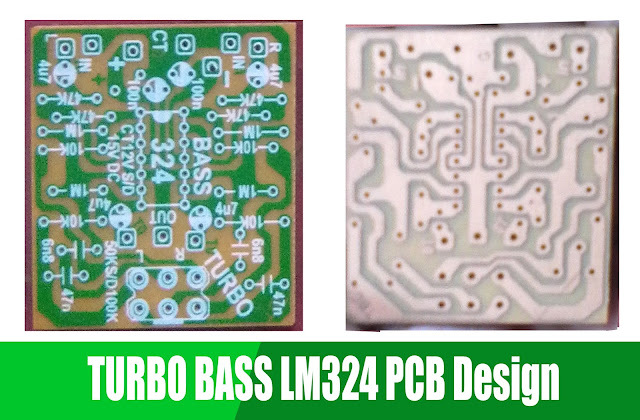 But this circuit is different, its Turbo Bass or Bass Booster circuit using IC LM324. Multiple Output Bass booster using two Op-Amp in one IC and include bass volume adjusting at 50K Variable Potentiometer. 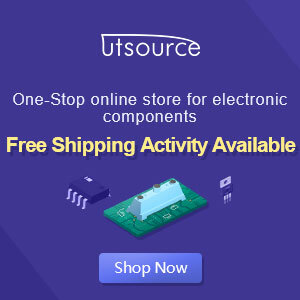 You can buy Linear IC from WIN SOURCE. 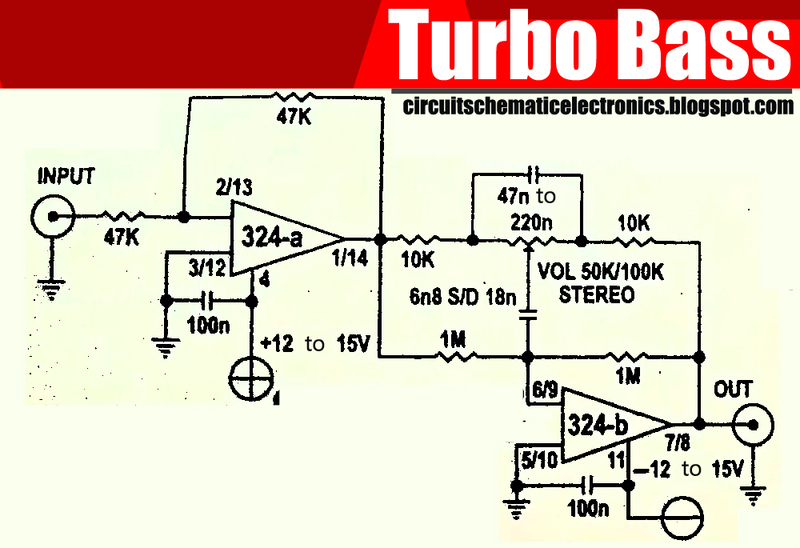 You must try this turbo bass circuit for boost bass your audio system. And feel the thump of the bass more powerful, boomed, with good sound quality. See circuit diagram and Complete PCB design. The Circuit above need 12Volt - 15 Volt DC symmetrical voltage power supply, and also using regulated and stable power supply to more get high-quality audio output power amplifier. It,s simple and more useful for boosting your bass tone. If you have any question, please place your comment below.